The black butyl dry box gloves offer the highest impermeability to water vapor, gases and toxic chemicals including most missile fuels. Resistant to ketone, oxygenated solvents and most oxidizing chemicals. 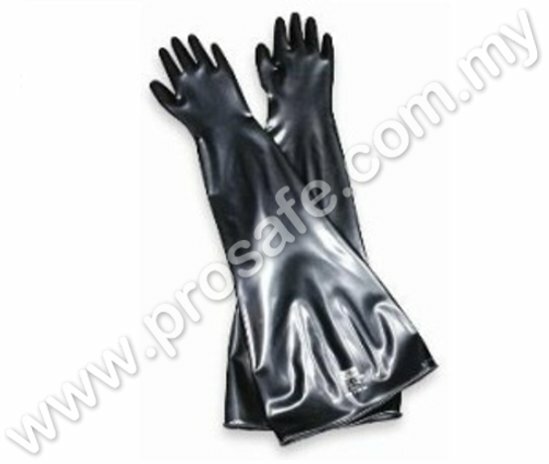 Butyl gloves are flexible and sensitive, even at low temperatures. 32'' in length and 30mil in thickness.